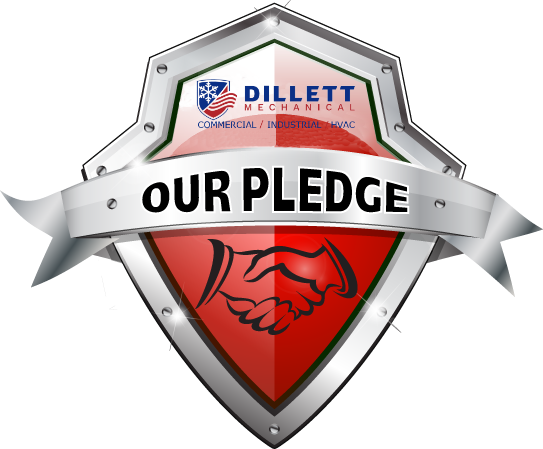 Dillett Mechanical Service is a full service Heating, Ventilating, and Air Conditioning (HVAC) company. Our specialty is working with our customers in the repair, maintenance and design of their commercial and industrial HVAC systems along with their process heating and cooling systems. We understand the meaning of service. What can you expect from Dillett Mechanical Service? We welcome the opportunity to present a Custom Preventive and Predictive Maintenance Program with your personnel and our technicians working together. We're confident that if you give us a try, you will be satisfied with the results. We want to become your maintenance and service partner for all your systems. We feel this approach both saves you money and optimizes the efficiency of your sytems.